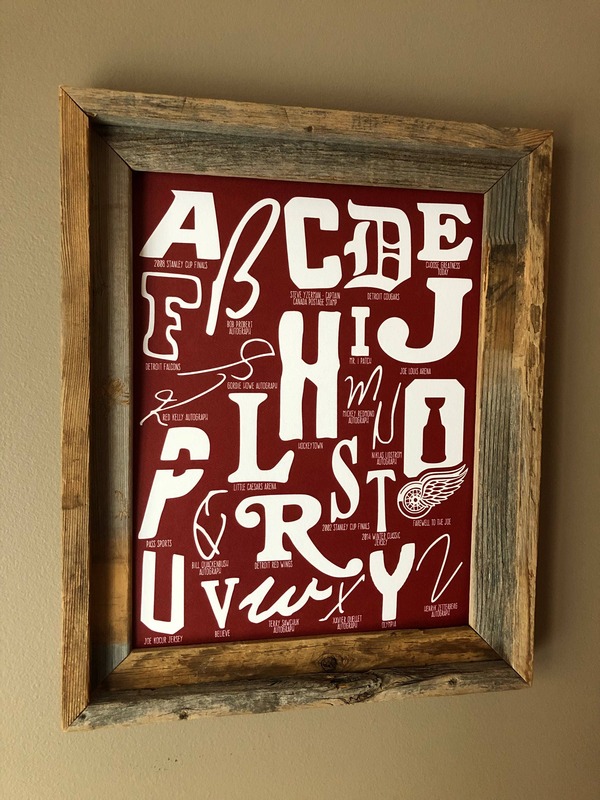 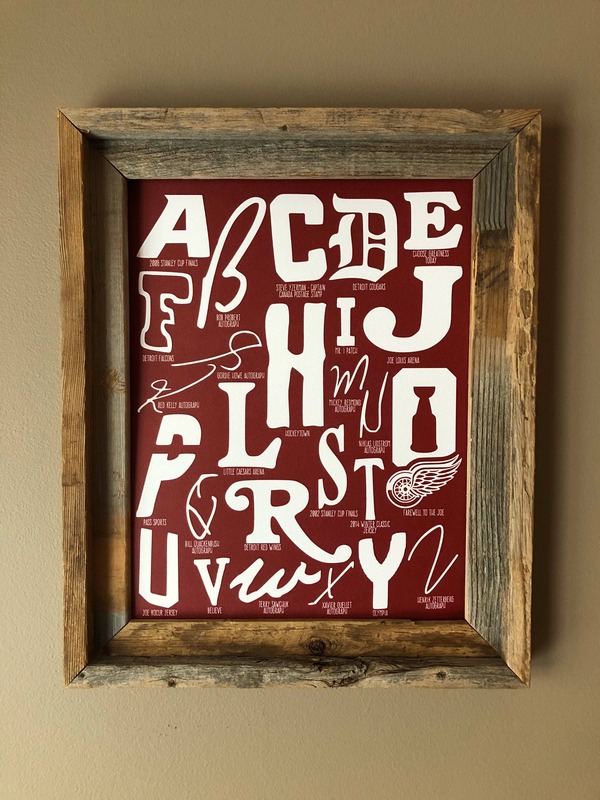 If you are a native of Detroit and love the amazing hockey history this city has to offer and maybe you are decorating that baby/kids room in Wings decor, then this print is for you! 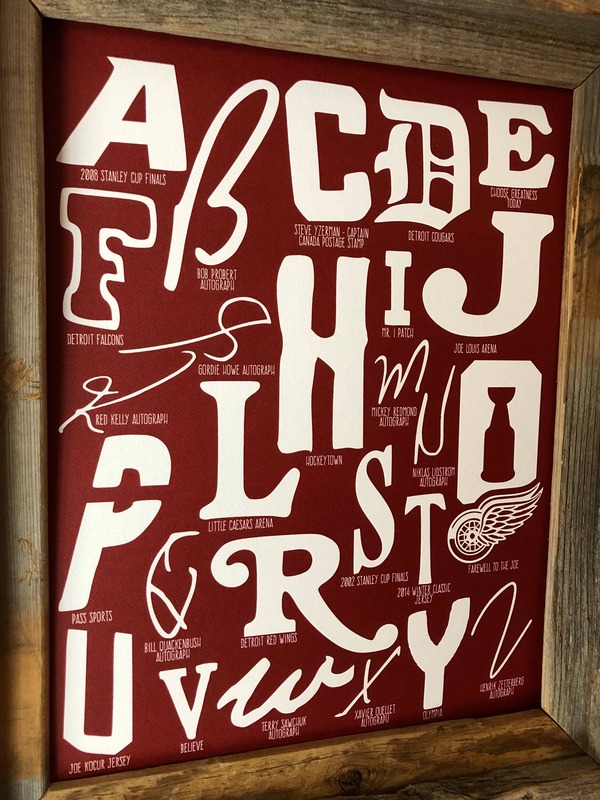 All of the letters on this print from A to Z are associated with the Wings and their amazing history. 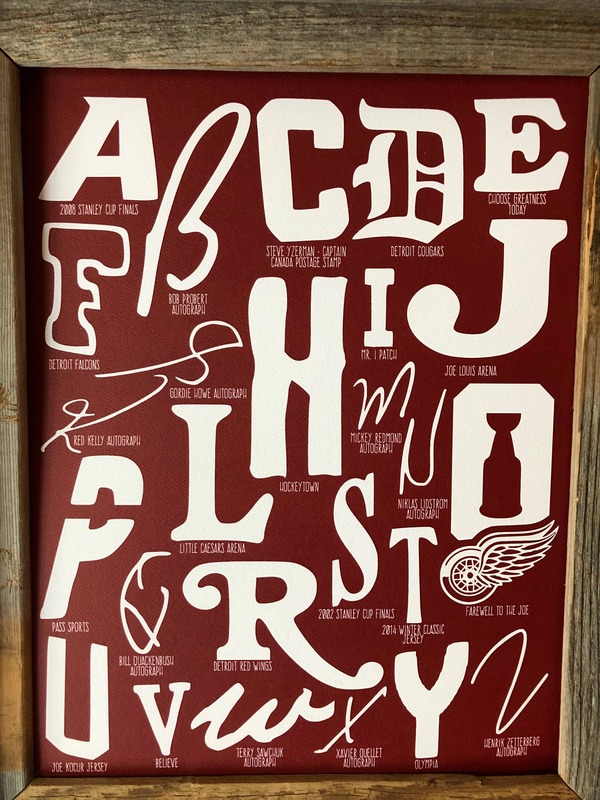 From the B in Bob Probert’s Autograph, to the C of the Captain, to the J from the Joe, to the L from Little Caesars Arena, this 11x14 print is a unique kid friendly tribute to all things Red Wings.